[Journal] Start Korean Class, 2016. Unexpected, when I decide to teach Korean again after I received so many emails that asking me about Korean Study on last year. I'm not sure if I can put as many efforts in these studies again since I also received many invitations and project in this year. Lucky, I just take only one student that stay around area Kuala Lumpur, Malaysia. That because I want to teach her directly by face to face for easy to understanding. Maybe some of you are wondering about the cost or fee, right? How about I tell you, this class is free? 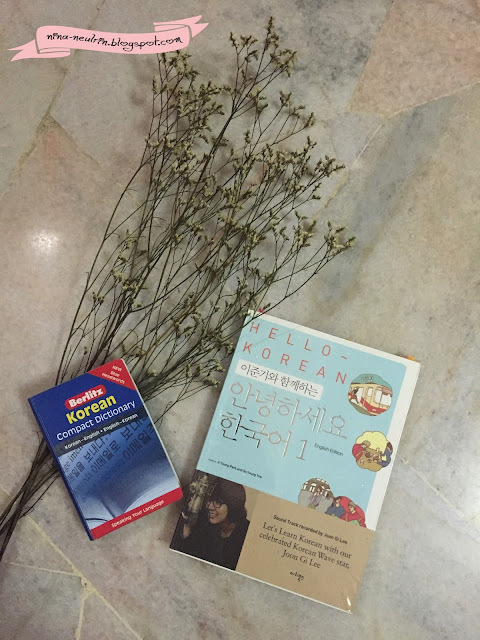 Include Korean book. Yes, everything is free. I just help in cases. Actually, on my previous class also is free. I don't take any fees to teaching Korean. It's just for fun. This class was started on 06 February 2016. I hope this Korean class will be successful. [News] MATTA FAIR 2016 is Coming!! !